Nature Valley, check out this photo. You can’t get much more naturey than this. You want to hire me, yes? Can you believe it? FINALLY, a healthy snack bar for gluten-free folks that doesn’t taste or look like a turd. And, from a mainstream brand name, no less. Well, I couldn’t believe my eyes. I found this nugget in Safeway. Normally $3.89, with my card, the price was $2.99. No offense, Safeway – don’t get me wrong, I love you for all the gluten-free food you’re now offering – but I’d bet money you could normally find these for $2.99 in larger stores. Just sayin’. And, at $2.99, it’s competitively priced with the KIND bars I’ll be reviewing at a later time. Each 1.2 ounce bar (there are six in a box) has 190 calories, 13 grams of fat, 13g carbs, and 6g protein. 0mg of cholesterol is always nice, too. What’s in them? Almonds, peanuts, sunflower seeds and some stuff to make them stick together. How do they taste? Before I answer this, I must issue a warning. If you have sensitive teeth or dentures, this product may not be for you. It is hard. As a rock. As a granite rock. 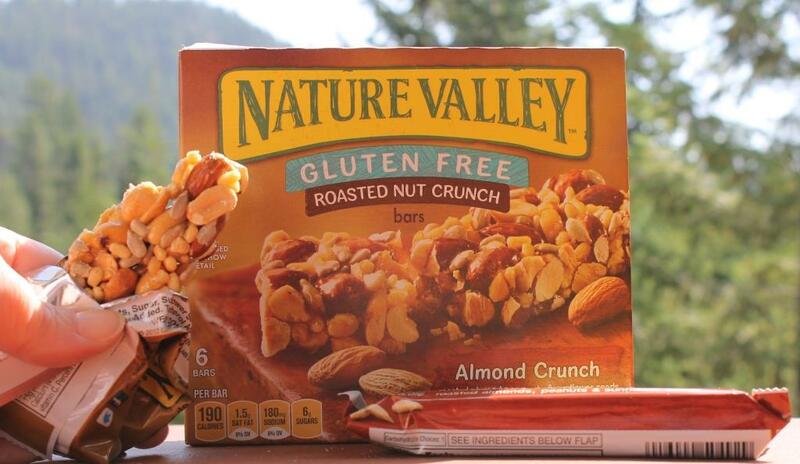 When they say Roasted Nut Crunch, they really mean the crunch part. That being said, they taste good. Like almond and nut brittle. Not overly sweet – the nutty flavor is definitely the main focus. You know what else I liked about these? 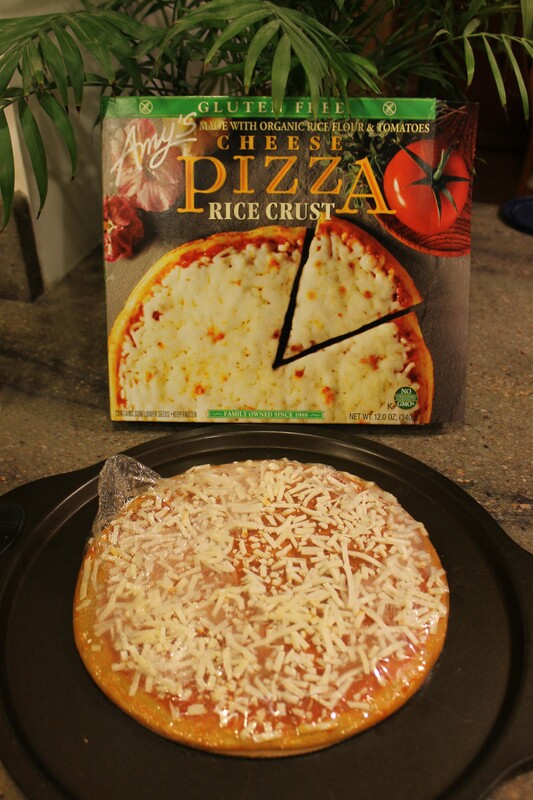 Hardly ever do you see a product that looks EXACTLY like it does on the outside of the box. This does. Silly? Maybe. But it gives me confidence to know that they didn’t have to doctor up the packaging to entice you. Highly recommended, especially for vampires, werewolves, and other creatures with strong teeth. I do not like peas. I don’t. I’ll eat them, they don’t repulse me or anything, but I find the flavor tends to overpower dishes. So, I ate all the peas out of this first. (Or I tried to, anyway. There were a lot of them.) Problem solved. So, peas must have been on sale that day because this was loaded with them. There was a generous amount of chicken, but I only saw a few mushrooms, a couple of carrots and one piece of celery. I’m a meatatarian, so that didn’t hurt my feelings any. By the way, the chicken was not overcooked at all. It was a little chewy, but not like pretend chicken nugget processed yuckiness – if you know what I mean. It’s definitely real chicken. The pasta was tender and al dente. Well done, Eating Right. 340 Calories, 13 grams of fat, 75 mg cholesterol, 700 mg sodium, 36 grams carbs, 20 grams protein. Okay, so maybe a little high on the fat and sodium, which is probably why it tastes good. At that price, I’d do it again. Definitely recommended! 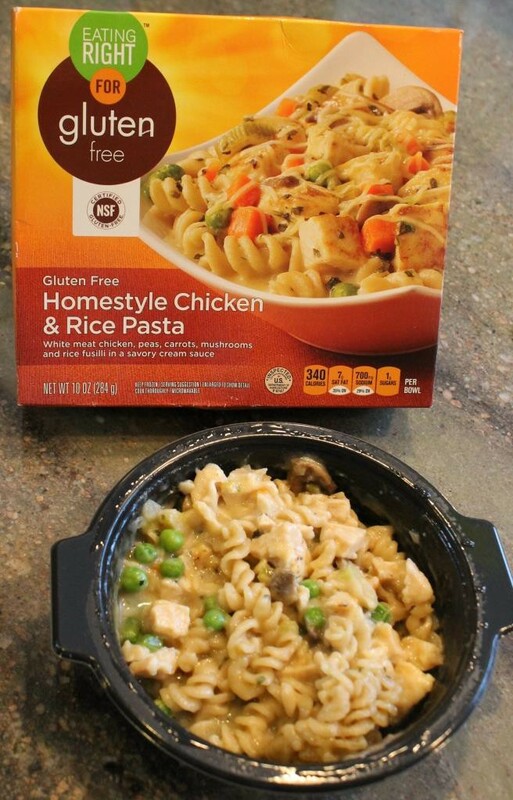 The biggest inconvenience about being gluten-free – to me, anyway – is that “quick and easy” meals are hard to find. Gluten-free snacks are either too spicy for me or really high in sugar. 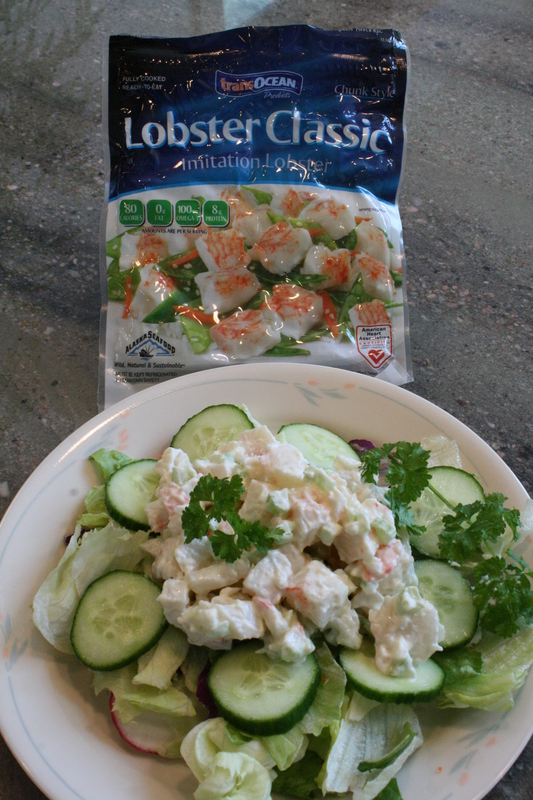 So, this quick and easy lunch makes me very happy. Got leftover salmon? Break it up with a fork. Stir in your favorite mayonnaise, or some cream cheese, or even plain yogurt would work. Toast some Udi’s White Sandwich Bread (or your choice). Udi’s bread is a smaller that most breads, so you can probably use 3 cucumber slices and 3/4 of a slice of cheese to fit nicely. Serve with gluten-free chips or sweet potato fries. Quick, easy, inexpensive, and above all, classy. 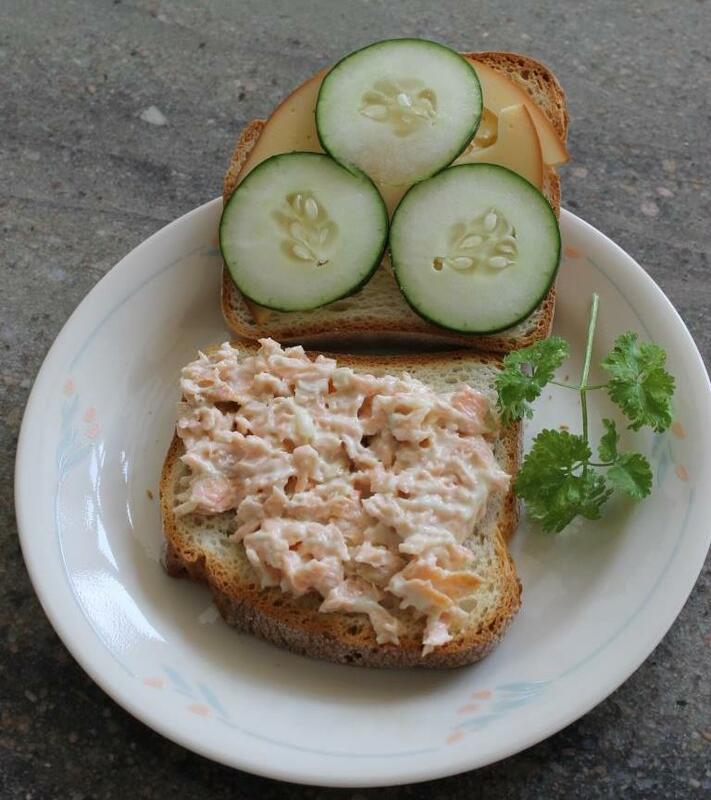 Come on, cucumbers on a sandwich? That’s classy! 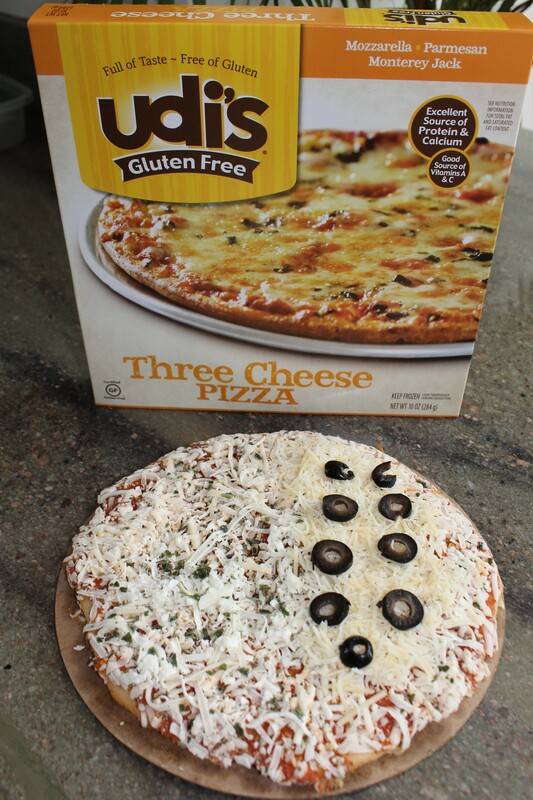 I was so very excited when I saw pizza in the gluten-free freezer case at WalMart. Pizza is one of the foods I really do miss from my gluten-mongering days. So when I saw both Amy’s and Udi’s had gluten-free pizza available, I grabbed them. You can read my Amy’s review here. Amy’s pizza is about one dollar more than Udi’s. The calories, carbs, and protein are about the same. 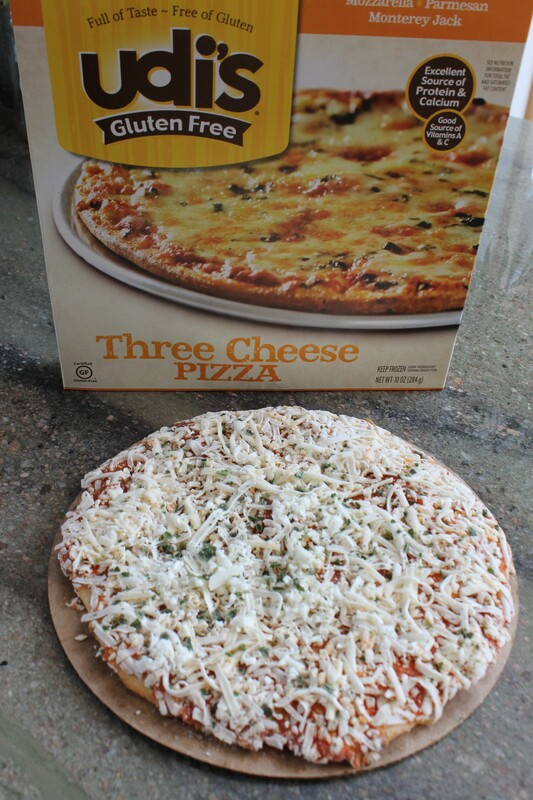 Amy’s pizza is 12 ounces and they expect you to get 3 servings out of it. Udi’s is 10 ounces and they divide that bad boy into two servings. All-in-all, very close. Amy’s is non GMO and uses organic rice flour and tomatoes. It does contain soy.